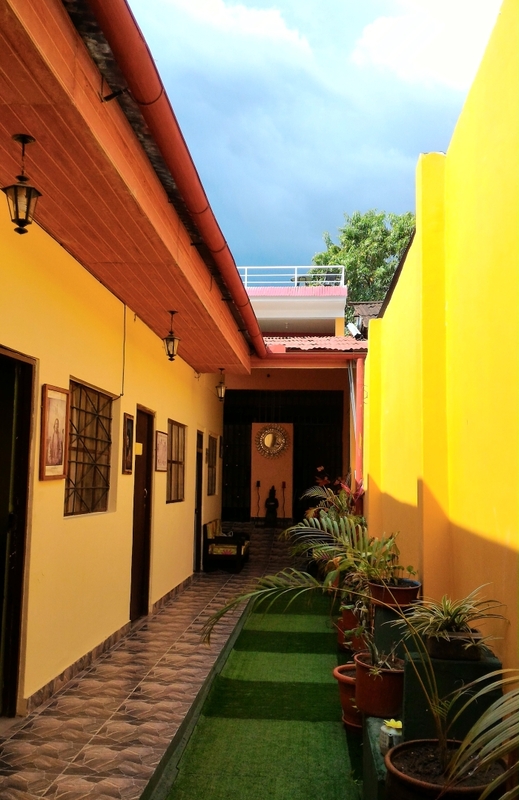 So I was strolling through the streets of central Tarapoto a few weeks ago and came across a hostel that I’d never seen before. Might as well have a quick look, I thought, and I headed in. I was greeted by a friendly lady who looked a little surprised by my random visit, but we soon got chatting. 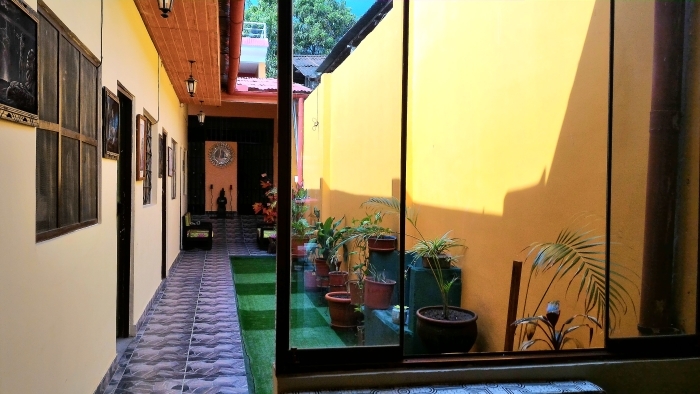 The hostel, Hostal Indios (stylized as In.dios on its Facebook page), had opened just a few weeks before my visit. Unsurprisingly, everything looked spotless and freshly painted. Healthy-looking potted plants lined the first-floor hallway, along which sat three or four comfortable-looking rooms. And the price? Right now, very reasonable indeed. The current inaugural rates are as low as S/.25 for a room, and it sounds like the prices will stay at very competitive levels for the foreseeable future. So go check it out — and tell us what you think in the comments section below. 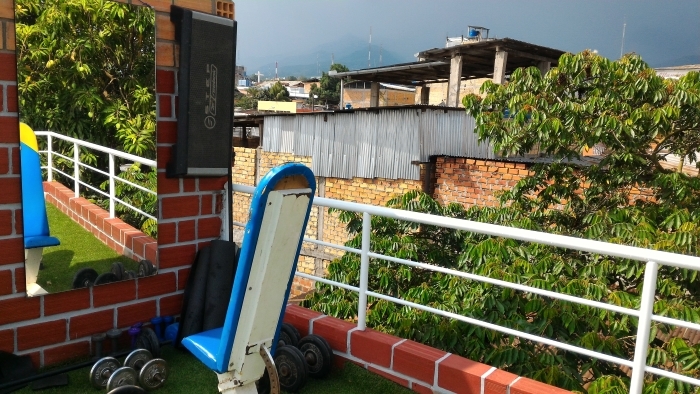 Want to lift some weights while looking across Tarapoto? Try Hostal Indios…. That place looks very nice., but I’ve never noticed many backpackers or tourists of any type visiting Tarapoto. Too bad since I’ve always enjoyed visiting Tarapoto and visiting that quaint town of llamas that’s close by. Have things changed and is Tarapoto attracting many backpackers nowadays. Hi Vincent. Quite a few foreign tourists pass through these days. Not a huge amount, but enough to see some foreign faces around town most days. A large number of the backpackers are heading from here to Yurimaguas to take the boat to Iquitos (or vice versa). Thanks Gus, it’s good to have a first hand opinion from someone who stayed there — especially for two weeks. Cheers!